Nonstructural BMPs preserve open space, protect natural systems and incorporate existing landscape features to naturally treat and prevent pollutants from reaching waterways. Stream restoration reestablishes the general structure, function and self-sustaining behavior of the stream system in existence prior to disturbance. 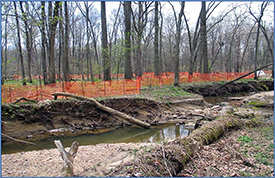 Restoration design focuses on both the physical and biological components of the stream system and its watershed. 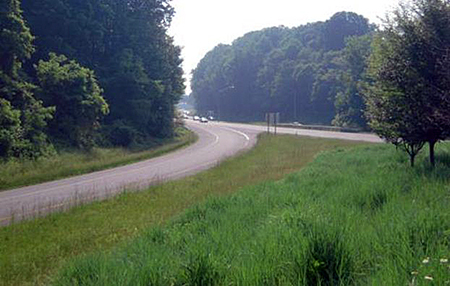 Restoration includes a broad range of measures including the removing watershed disturbances that are causing stream instability, installing structures and planting vegetation to protect stream banks and provide habitat, and reconstructing the curves, bends and depth of areas within the stream system. 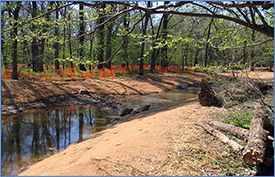 Stream restoration projects help reduce transporting sediment and nutrients to the Chesapeake Bay. Disconnecting impervious surfaces from closed storm drain systems allows for natural drainageways that maximize the potential for infiltration into underlying soils. Natural biological activity in soils enhances pollutant removal. 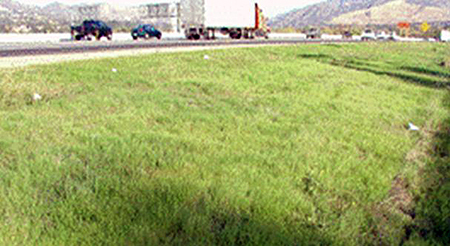 Stormwater runoff flows from pavement through vegetated filter strips or side slopes to open ditches or channels. Along the way, pollutants are reduced through vegetative filtering, biological uptake and infiltration, which is not possible in a closed storm drain system. Subsoiling is being investigated by SHA as a means to open up the soil profile, reduce compaction and increase infiltration. 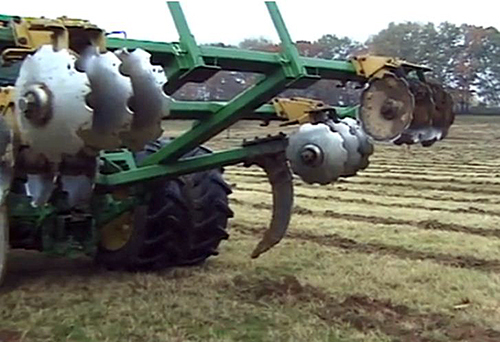 A subsoiler is used to loosen and break up soil at depths below the level of traditional cultivation tools. It also improves plant growth and survivability.